Jay, (CJ at the time, if I recall correctly), was a classmate and friend in high school. 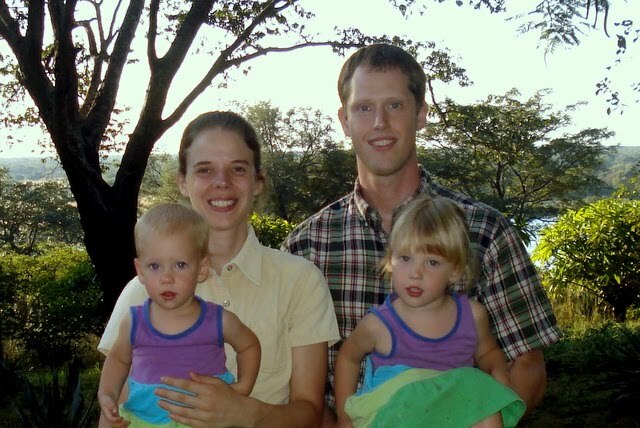 Despite the years and miles that separate our relatively brief acquaintance, I have to write this, partly because I am surprised at how much the Ericksons' plane crash is affecting me, and partly because their faith and love for Jesus echo profoundly into the silence left by their passing. First is sitting in his dining room, meticulasly carving, glueing, and testing balsa-wood airplanes for a science competition. I can still smell superglue and accelerant, feel balsa and the sting of a propeller rubber band failing, and remember Jay's passionate enthusiasm for good workmanship and the success of the project. Second is, even though only in touch via social networking, the vicarious excitement and joy of learning that his dream of becoming a pilot was becoming a reality, along with getting married, starting a family, and heading to Zambia. Last is the legacy in the words that he left behind, even through a death deemed (only by our earthly standards) untimely. Many news agencies and friends have reposed his blog on death in whole, but this is what I find most impactful. I ... realize again in a new way that there is nothing sad about the death of a Christian. The only sadness (and I do not intend to belittle this aspect) is in the loss of companionship by those left behind. Please pray for their daughters, that they would be able to understand, and grieve their loss, and learn to trust Jesus in the way their parents did.